Eddie O'Hara was a W.A. cyclist whose career highlights include winning the gruelling 116 mile Beverley-to-Perth and Midland 100 (mile) race. Described by his contemporaries as a perfectionist and frame connoisseur, he had this frame built in the early 90’s “to the highest specification possible” (to quote Milton Jones himself). When Eddie’s son inherited the bike, a surprise in itself given Eddie’s penchant for constantly upgrading his bikes, he was disappointed in being unable to find a buyer for it. Resigned to the notion that the MHJones/Capo brand was the problem, he sanded off the decals and soon enough had a buyer asking him to confirm shipping costs to the eastern states. Making clear his preference to sell locally, the frame was bought by the WAHCC member in July 2016, the day before seeking the shipping quote. The bike was repainted in blue again and rebuilt over a 12 month period. 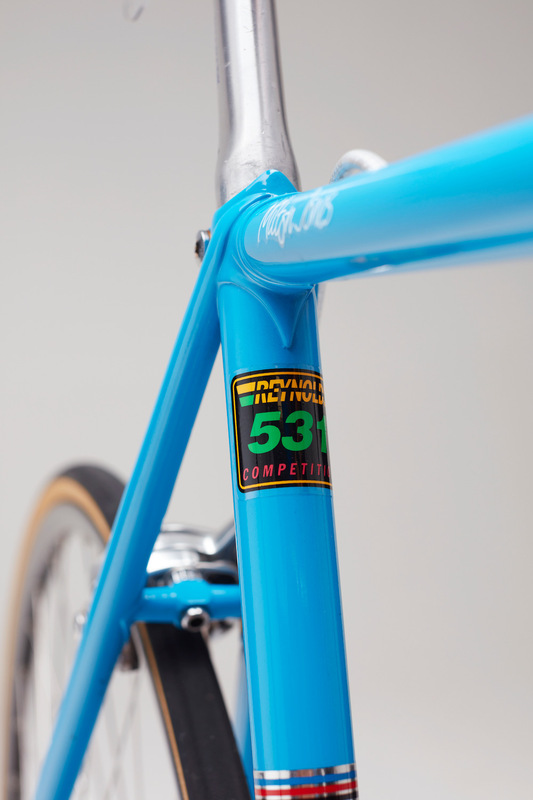 The component choice and mix of MHJones and Capo branding, it was hoped, would increase the awareness of Milton Jones whose bikes carried many State Champions and broke numerous Australian and World Records. In 1941, a promising 19yo cyclist named Cyril Sumner lined up with 40 other competitors at the start of the gruelling, gravelly 116mile Beverley-to-Perth handicap road race. Cyril rode this circa 1938-41 5A Ascot to 8th place overall. He finished in a time of 6hrs 12mins – remaining ahead of the vastly experienced and defending champ and scratchman, the legendary Bill “Tito” Bonser who, that year, set the fastest overall race time again. For his effort, Cyril won a “special racing machine”, a new lightweight and ornately lugged Swansea racing frame numbered 6864. Long neglected, Cyril’s son had the Ascot and Swansea frames repainted in 1982 as part of a “father & son” project to help Cyril recuperate from a major heart operation. Cyril’s elderly children passed the Ascot and never built Swansea frame to the club member who has since replaced the “budget upgrades” with period correct items. They include the Wrights leather seat and GB brake caliper and lever. With no one he knew interested in the bikes, Cyril’s son said “it would have been a shame to take it all to the tip”. This classic 1965 Ian C. Reid was built in the current Perth based owner's home town in Northamptonshire, UK. It was originally built for Roger Watson, a racer with the Mid Devon Road Club. Ian Reid was a top level cyclist and participated in seven Tour of Britain during the 1960s and went in to business in 1962 with Roy Cottingham, a fellow racing cyclist, to build and sell custom built cycle frames. This beautiful example was built in March 1965 and painted by Ian himself. 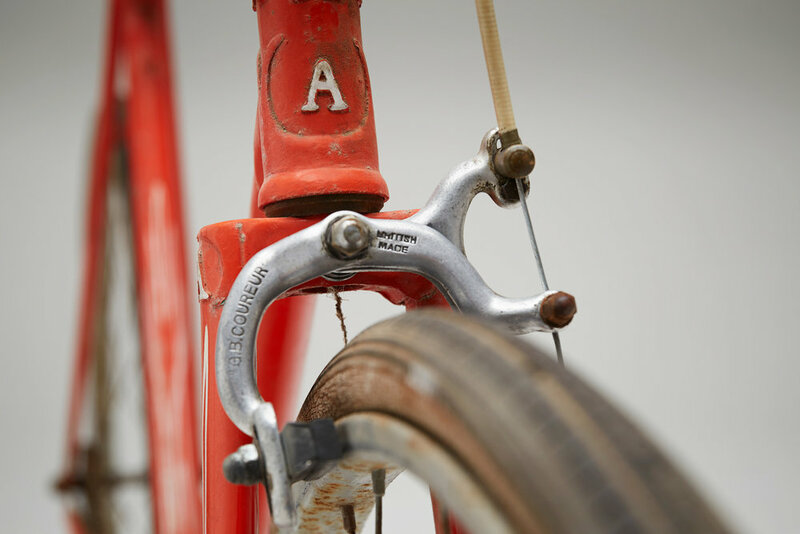 It is completely original and features chromed hand-cut lugs and is fitted with first-generation Campagnolo Record cranks, derailleurs and hubs, MAFAC brakes, MAVIC tubular rims and of course a Brooks Professional saddle. Ian only made a small number of frames. He still has the last one he built in 1967. This Ephgrave No. 1 was originally purchased in 1961 from Ephgrave as a custom order by Stanley Warren of 7 Bouverie Park, Stanton St Quintin. Chippenham, Wiltshire in the UK. Stanley owned and operated a bicycle shop in Chippenham however it is unclear if he inherited his Grandfathers shop or opened his own. He is survived by his granddaughter. In 1969 a local lad purchased it from the shop, it was sold by him to it's current owner in 2016, shipped to Australia and has been restored retaining the original components and colourways. Original Groupset, albeit she did have a right “bar end” shifter fitted when received. 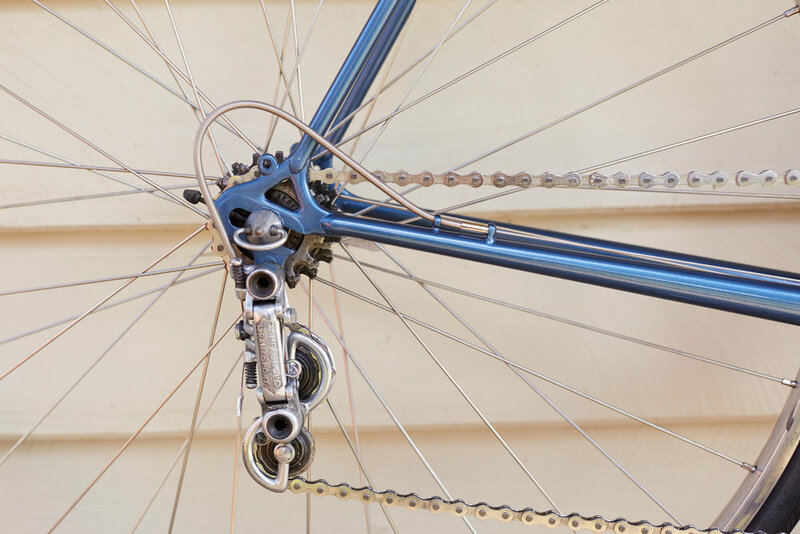 Campagnolo Gran Sport hubs, front & rear derailleurs. Stronglight Depose cranks. Weinmann Brake set. More information about Ephgrave on the Classic Lightweights site. A narrow rim racing penny. This bike is likely have been made specifically for racing as the introduction of the safety bicycle half a decade earlier rendered penny farthings obsolete for transport and other forms of recreational riding. The narrow rim is of a type that was used for racing pennys. It's racing heritage is also evidenced by the bolt on (as opposed to brazed on) mounting step. The seat bracket is engraved Hickling & Co, The Pilot Racer, Maidenhead. The wheel is a “hollow rim” design identified with a small brass plate on the bike rim; Warwicks Patent Hollow Rim No 4957 SEPT 1882. The Pilot Co. was founded in 1868 by H. J. Timberlake, trading as Timberlake and Co. He introduced a solid rubber tyre secured to the metal rim by a wire running through the centre of the tyre. 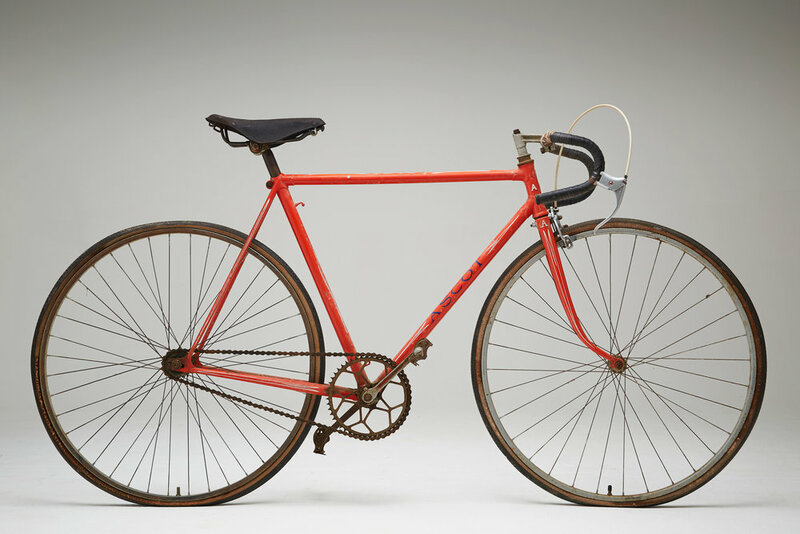 He also invented the front wheel roller brake, operated by rack and pinion from a twisting handlebar. Later the business was acquired by Hickling and Co, and given by them as security to the rubber manufacturers who made tyres for them. In 1886 the goodwill was purchased by C. J. Reynolds, who carried on the business till 1900, when he closed down. The stars in fork crown of Malvern Stars were first mentioned in what is believed to be the 1933 catalogue, and were applied to most models the following year. The paint is likely to be a later repaint. 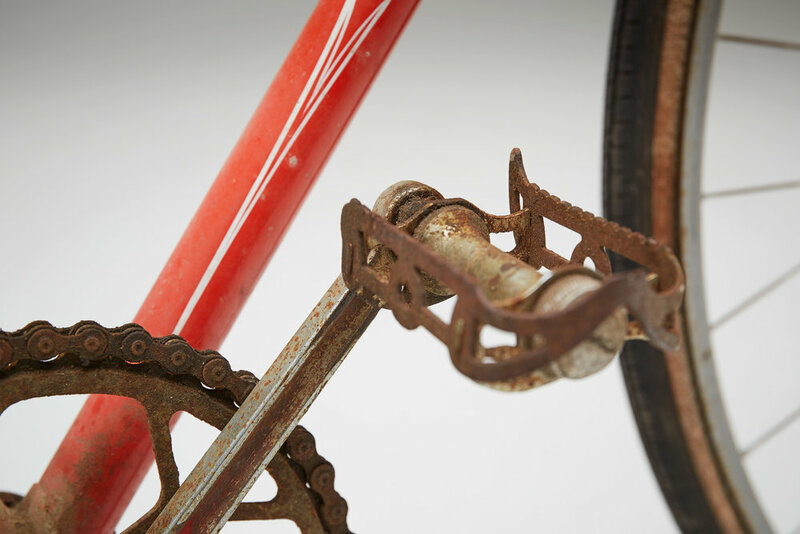 Whether Pierre Michaux or his son Ernest, or a workman in their employ named Lallement, was the first to think of fitting cranks and pedals to the front wheel of the hobby-horse has never been definitively established. This we do know however, that the cycling era dates from the Michaux-made pedal-driven Velocipede of 1865. At the Paris Exhibition of 1867 Michaux Velocipedes were shown and examples were purchased by Rowley B. Turner who persuaded his firm, the Coventry Sewing Machine Co., to make these "Boneshakers" for the French market. This example formed a part of the Holmes a Court Collection for many years and has recently been brought back to rideable condition by its current owner, who, despite its weight and steel "tyres" insists that it is fact reasonably comfortable over short distances. 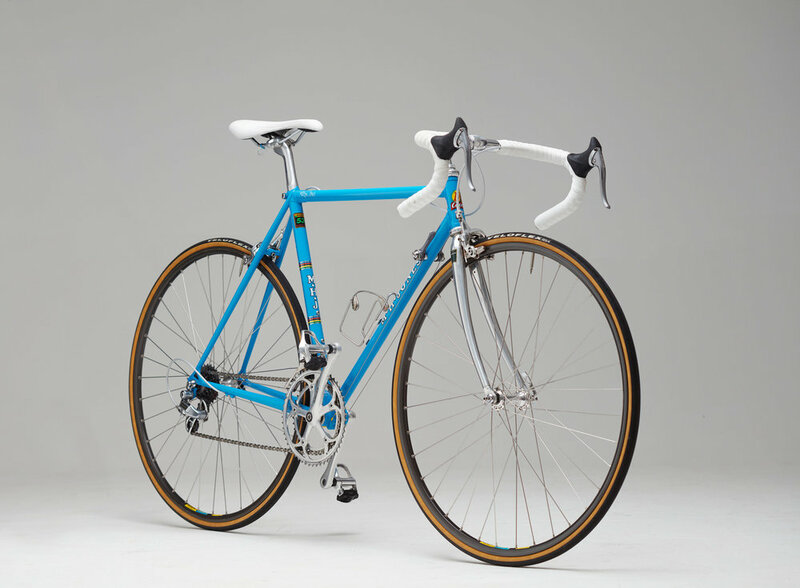 The Colnago Oval CX was a limited production bike between 1981-1983 and predates the development and use of aerodynamic features by the US cycling team in the 1984 Olympics. Columbus ovalised tubing was used for its aerodynamic qualities along with internally routed brake and shift cables through the frame. 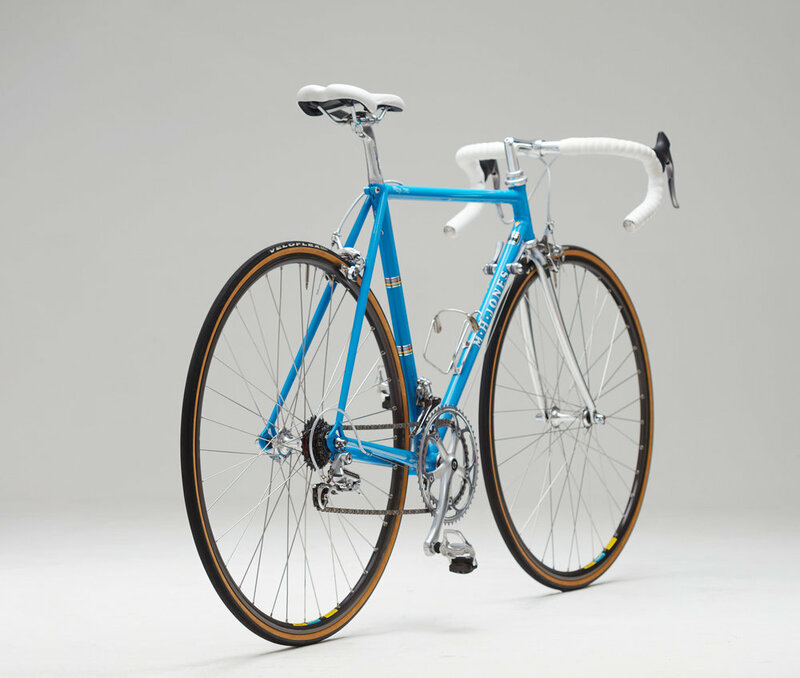 The ovalised tubing also addressed criticisms regarding frame stiffness that had been levelled at Colnago and was the first of a series of production bikes that featured crimped tubing. Stem: 3TTT Pantographed "Ernesto Colnago"
This Turner was bought at a bicycle swap meet some year's ago and has been dated to between 1900 and 1910 by it's current owner. 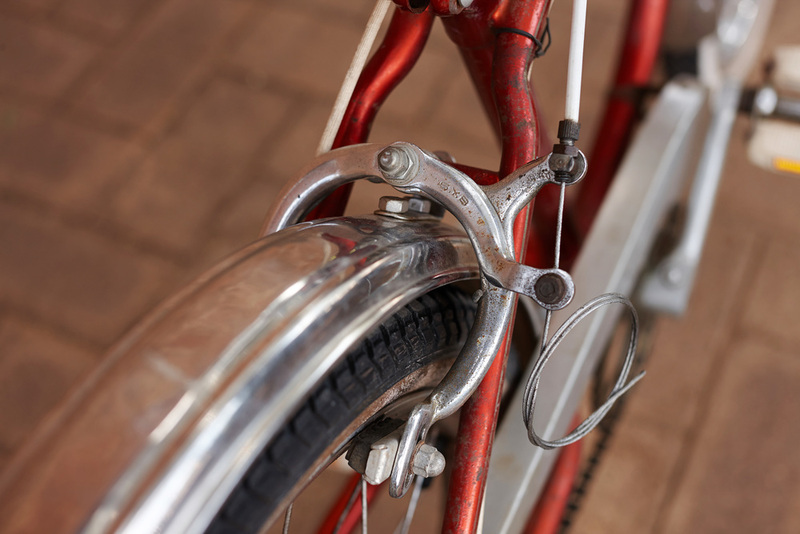 The addition of a non-period Philco rear brake adds to practical ride-ability. The original saddle has been recovered. 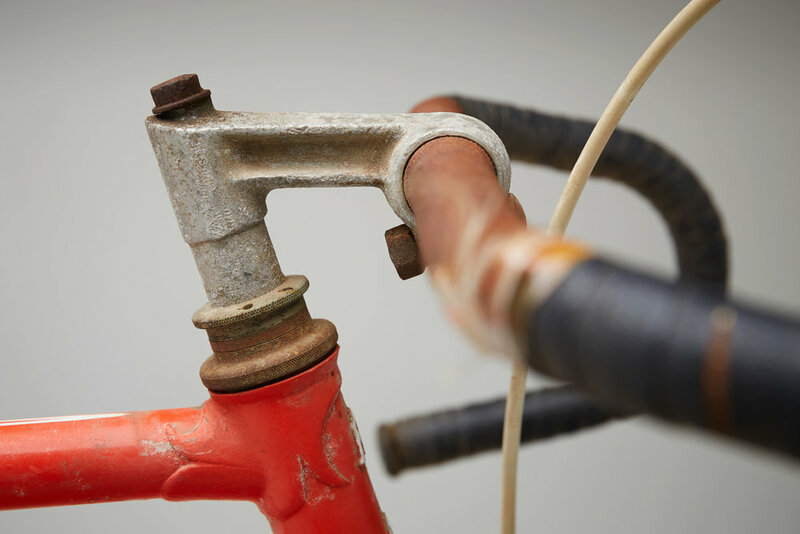 The one piece handlebar and stem is typical of many of the period with no forward reach. 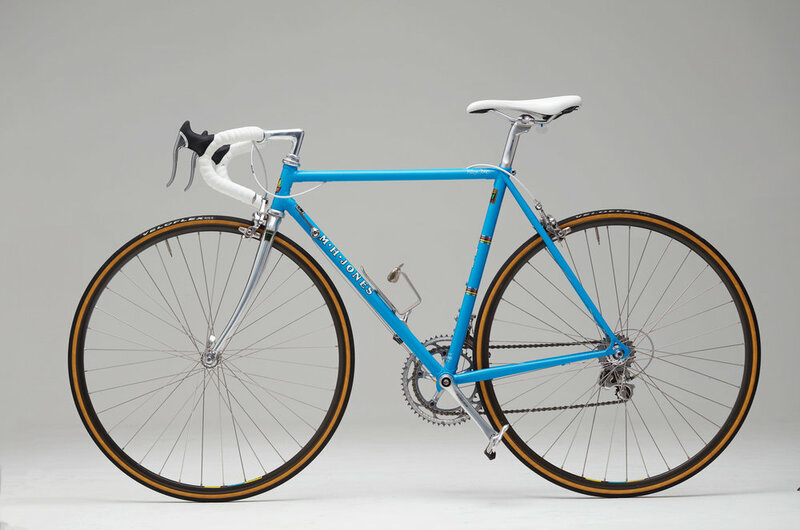 Rossignoli have been building bikes in Milan since 1900. 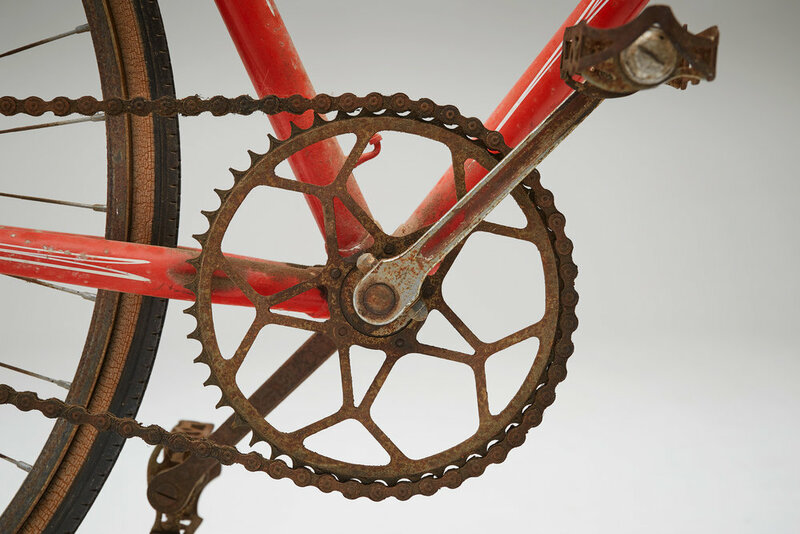 It is likely that this 8 speed racer dates from the late forties; its rare Simplex Tour de France 'gate changer' front derailleur was manufactured from 1947-49. 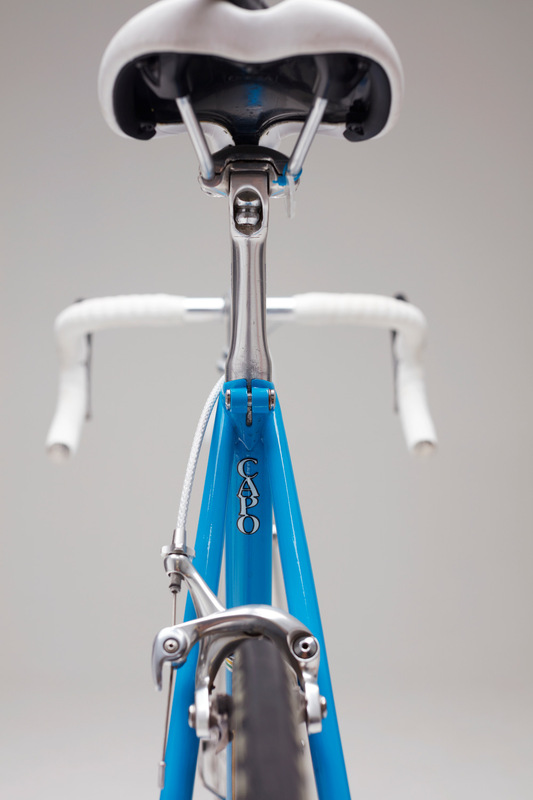 The bike also features Campagnolo's Cambio Corsa rear shifter mechanism which is operated by two levers mounted on the rear stays. 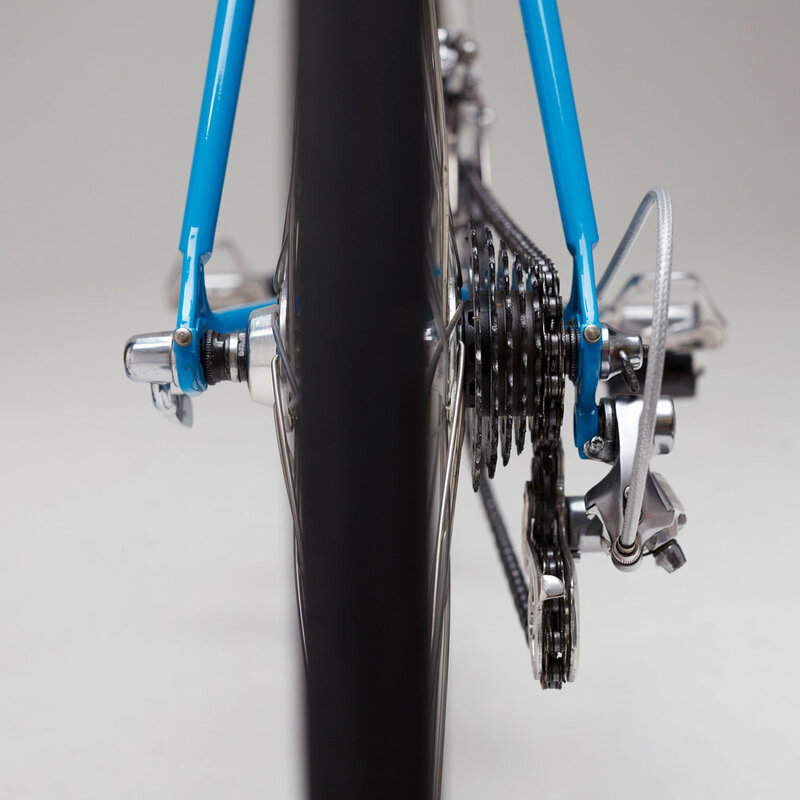 One lever operates the derailleur while the other loosens the wheel in the dropouts to allow for chain re-tensioning. "Pennies" first appeared in 1869, superseding bone shakers. 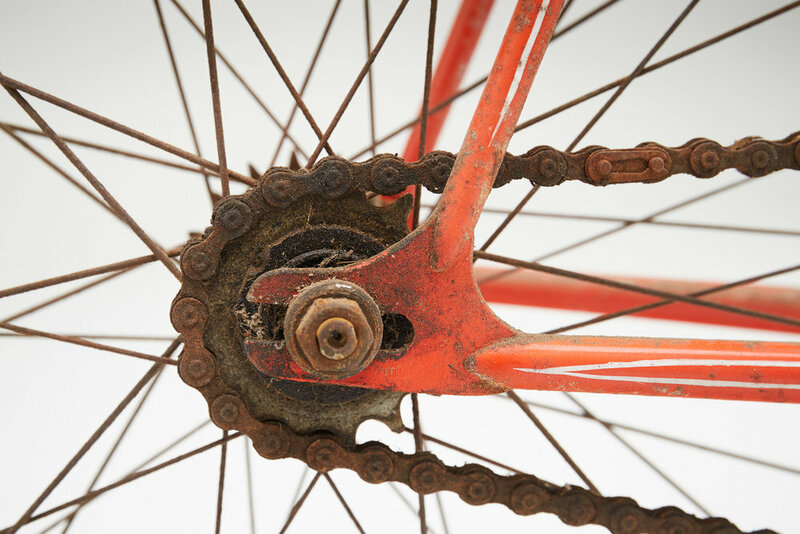 Both styles of bicycle had pedals and cranks directly coupled to the driven wheel, however the invention of the tension spoked wheel made possible the larger wheel diameters, and higher effective gearing, of the penny farthing. Pennies ruled the roost for only a decade and a half, supplanted by the "safety" bicycle of 1885 and the pneumatic tyre of 1889. This penny was built by the Royal Machine Manufacturing Co. of Birmingham, England. Royal began life as The Royal Sewing Machine Co, changing it's name in 1882. The company ceased trading in 1888. Built by local builder Milton Jones this trike was used to take blind riders on excursions. A typical dragster of the period, this Cobra Thunderbolt Hi Riser has been dated using the Sturmey Archer hub. 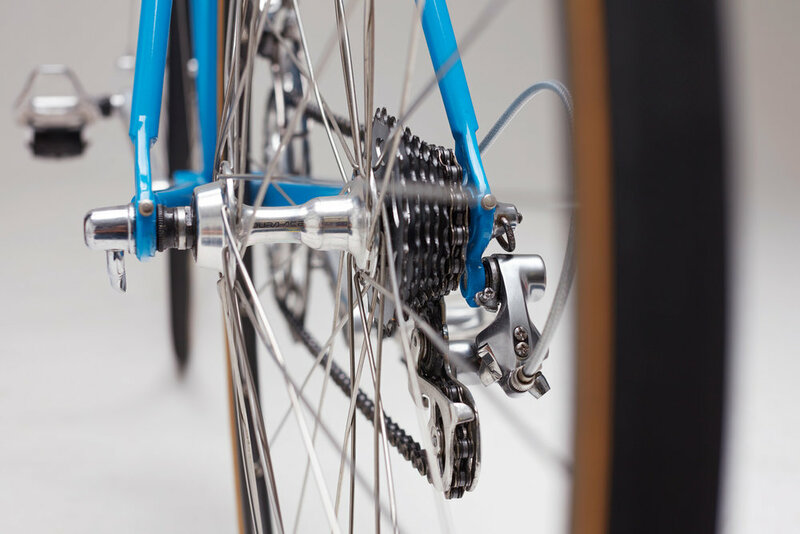 The SA 5 speed geared hub is operated by a twin shift lever. Rotrax Cycles of Southampton was founded in 1945, pipping Mercian Cycles at the post for the title of the oldest framebuilder in the UK still in business. 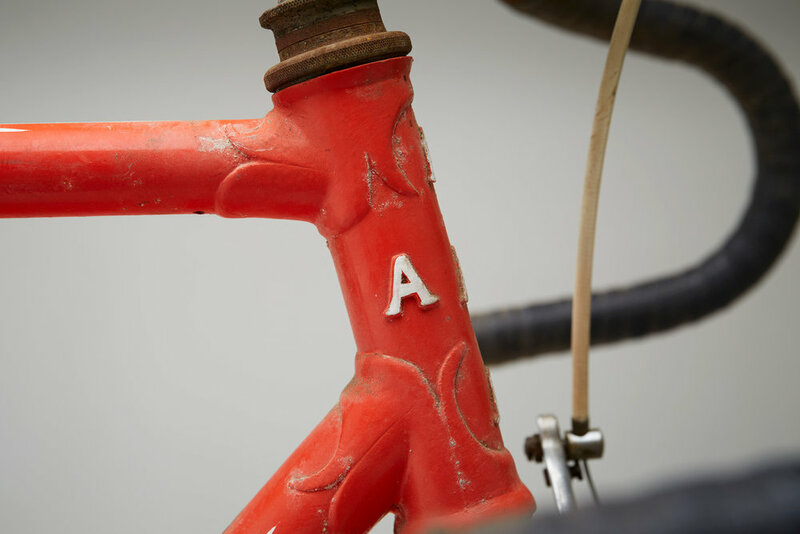 Rotrax is one of the slightly less well known framebuilders in the UK but the quality of many of their frames in the early 1950s was as good as the very best available anywhere. The attention to detail on their top models was exquisite. This classic English lightweight sports beautifully ornate hand-filed frame lugs, as was the style of the period. The restoration includes a modern coaster brake rear hub, seatpost and rims. The model name Vel D’Hiv was cycling slang for the Parisian Vélodrome d’Hiver or Winter Velodrome. Wheels Rear; Renak coaster brake hub laced to Westwood rim. Front: Sturmey Archer drum brake. Special Features fork mounted spoke actuated bell with bar mounted adjuster, period head and tail lamps.